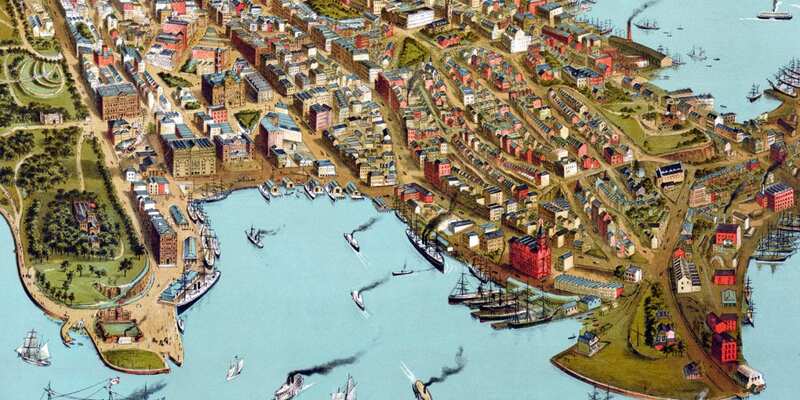 This historic bird’s eye view of Sydney, New South Wales, Australia was created in 1888 by M.S. Hill, an artist from Sydney. The map shows a bird’s eye view of the area as it used to be, with Circular Quay featured. Sydney Harbour is filled with boats, and all three sides of Circular Quay were dominated by wharves, factories, and warehouses. Other landmarks visible on the map include St Andrew’s Cathedral, Town Hall, Royal Botanic Garden, and more. This historic map of Sydney has been restored by KNOWOL. Reproductions of the restored map are available here. 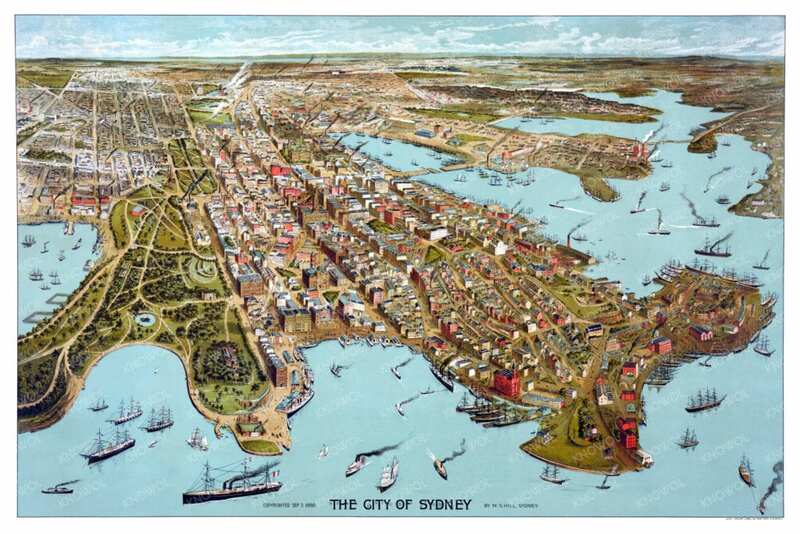 This vintage map of Sydney makes an attractive addition to your office, library, or den, and can even be used to teach children the geography and history of the area. When you’re done exploring, click here to get your copy of the restored map.